Set in a Mother and Baby Home in 1964 in the north of England and peppered with songs from the period, Be My Baby follows the fortunes of Mary Adams, aged 19, unmarried and seven months pregnant. Forcibly sent to the home by a mother intent on keeping up appearances, Mary has to cope with the dawning realisation that she will have to give the baby up for adoption whether she likes it or not. It?s hard to believe that even in the swinging sixties, ?unmarried mothers? were frowned upon so much that they were forced to hide away in church-run homes to give birth, have their babies adopted and return home as though nothing had happened. It was a traumatic experience especially for teenagers who wanted to keep their infants and who were parted after only the briefest cuddle. 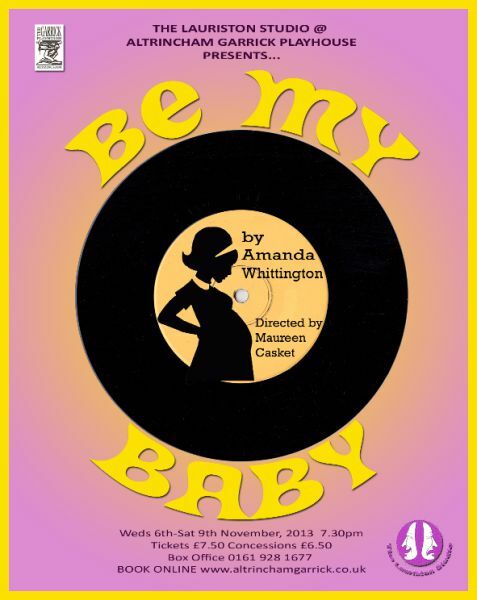 Amanda Whittington?s well crafted play, Be My Baby sums up the attitude of those times. The action features four pregnant teenagers who become friends at the St Saviour?s Mother and Baby home whilst awaiting the birth of their illegitimate children. The sounds of sixties pop music plays softly in the background as we meet Grace Garside as Mary. She is about to leave home to please her snobbish mother (Sandy McGuire ) who doesn?t want to be shamed yet loves her daughter dearly. Within the strict regime Mary, a grammar school girl, carries out laundry work under the eyes of a strict matron (Sandra Thomas) whom we suspect may has a soft centre. Mary teams up with fellow single mum, Queenie, a tough cookie who also has a soft centre. Two other friends are the not too bright Dolores who believes everybody is good, and Norma who goes mad with grief at the loss of her child. Queenie, Dolores and Norma are played respectively by Erika Pickard, Emily Waldie and Annabel Butcher. Despite a few first night nerves, they all convey, not only the surface of their characters but their inner feelings when, at such young ages, they cope with the hypocrisy that has placed them in this untenable position. Taking centre stage, Grace?s Mary illustrates how circumstances change her from an immature young woman to one who is confident and prepared to handle her own destiny. I also like Sandra?s matron. At the end, she Imperceptibly makes you realise her frustrations and her longing to have a child. She, too, must have a tale to tell. At times, despite an element of humour, I find myself on the verge of tears at the inherent cruelty of the system.